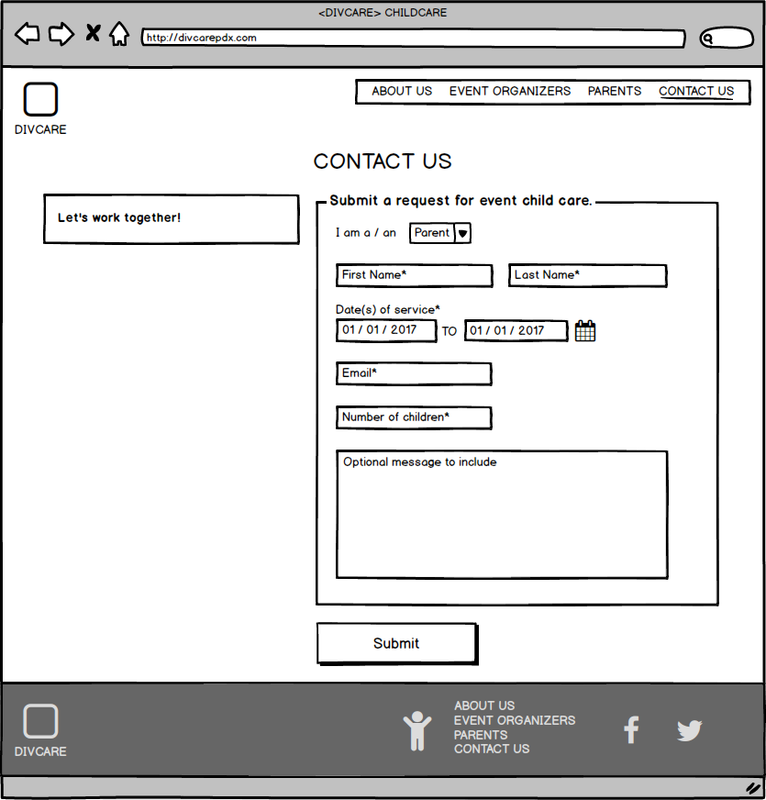 DivCare is a Portland based child care service providing reliable care to parents attending tech or industry events. They aim to provide a much needed service to allow parents to take part in Portland’s tech community. They work with event organizers and parents to provide accessible, interactive care for children. 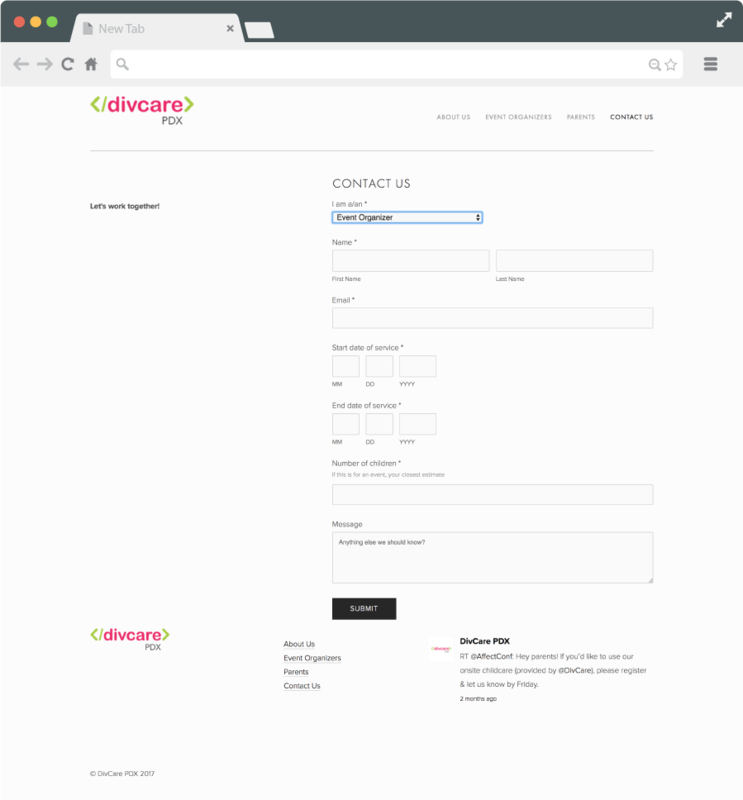 DivCare’s current site design has too many points of contact. 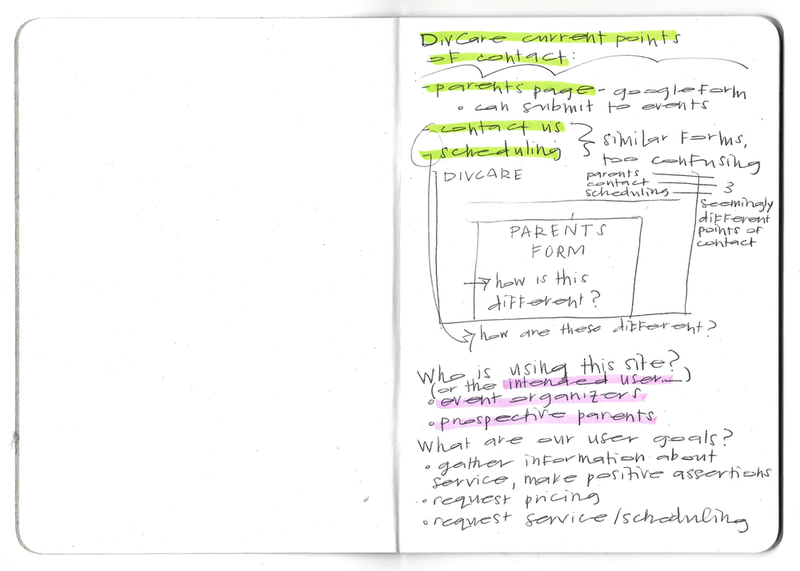 Potential clients need a digestible contact user flow that conveys the reliability of the service itself. 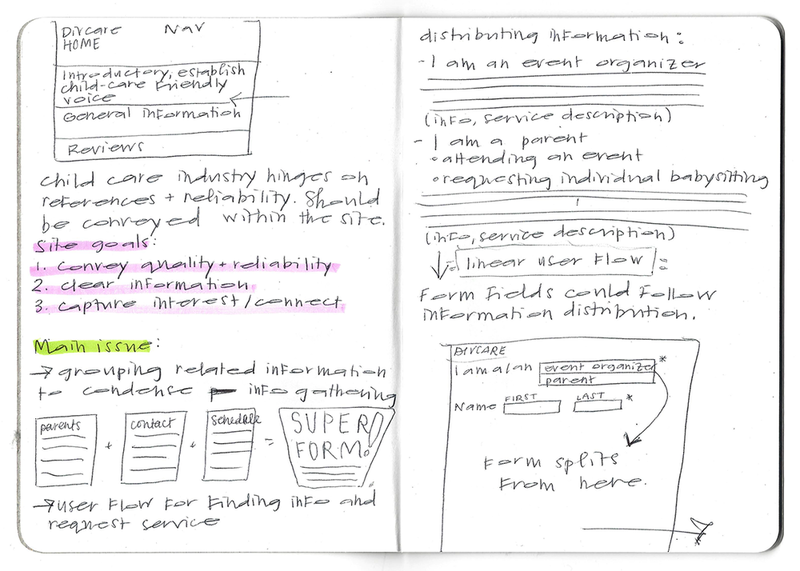 Condensing all contact forms and information will improve navigation and user engagement. All of these points of contact make the user unsure if they are submitting in the correct area. Language is confusing as well. A much cleaner site design that improves user interaction. The client was impressed with the ease of use and the condensed form section. There is opportunity to add additional tabs for specific events and to add in additional positive feedback as DivCare grows its business. This was an interesting exploration of information gathering and creating effective communication.